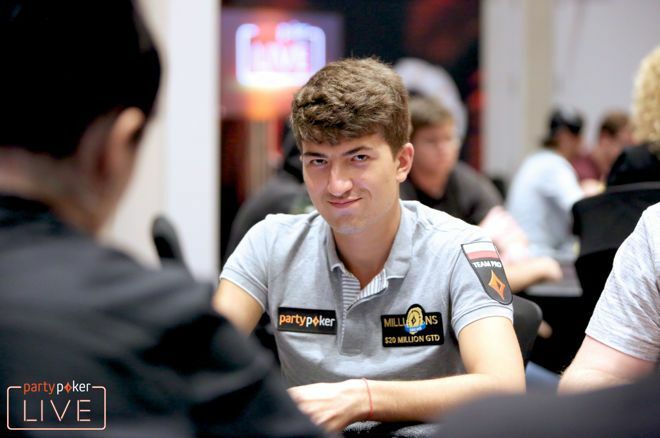 It's been a relatively quiet few years for Dzmitry Urbanovich since he broke out in incredible fashion with a $4 million year and a slew of titles in Malta in 2015. That could be about to change if his run in the early stages of the partypoker 2018 Caribbean Poker Party $5,300 Main Event at Baha Mar Resort is any indication. Urbanovich finished atop the counts among the 170 players who bagged, with 19,550,000 in chips. The Polish prodigy ran up a stack in the middle stages and then played a huge hand against Ioannis Angelou-Konsta that propelled him to the top. As the early streets were related to PokerNews, there was an open and a three-bet from Urbanovich before Angelou-Konstas put in a cold four-bet from the blinds. They went heads up to seven-seven-eight with two spades and a diamond and Urbanovich called a bet of 900,000 at 50,000/100,000/100,000. With the pot swollen to nearly 6 million, Angelou-Konstas checked the ace of diamonds turn and went deep into the tank when Urbanovich shoved for about the size of the pot. Angelou-Konstas thought about it for some time and ultimately folded after someone called the clock several minutes later. One other player also clear 19 million to challenge Urbanovich's supremacy. That was Emmanouil Fountoulakis, who wound up with 19.1 million. Senthuran Vijayaratnam (16,380,000) and Mikhail Vilkov (16 million) also bagged monstrous stacks. More well-known names with piles included Eric Baldwin (13,880,000), Cliff Josephy (11,710,000), Simon Deadman (11,300,000), Johannes Becker (11,150,000), Chance Kornuth (11,120,000), and Urbanovich's partypoker teammate Joao Simao (10,500,000). A few hundred entries were logged over the course of the first four levels, when registration remained open, pushing the event past the 1,200 mark. That's still 800 entries away from making the incredible $10 million guarantee, but registration remains open for some levels on Day 2b still. Word has evidently spread in the poker world of the possible overlay as players like Johnny Chan, who hadn't made their presence known yet at the festival, showed up. 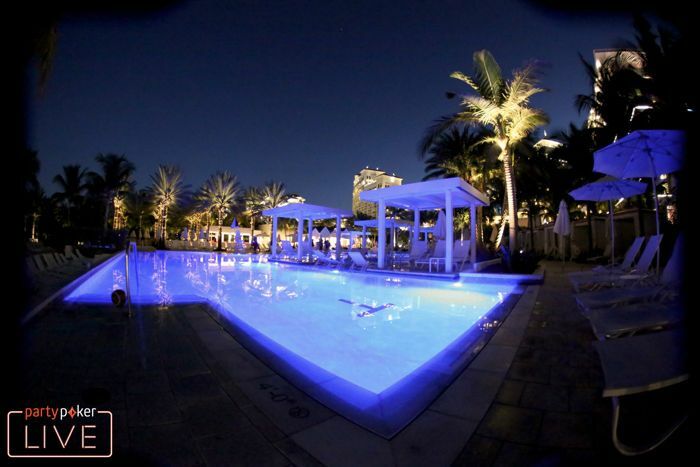 Undoubtedly, more fresh faces will surface for Day 2b of the partypoker Caribbean Poker Party Main Event on Wednesday, and PokerNews will keep track of them throughout another day of partypoker-style live updates at Baha Mar.